This Bananas Foster Amish Friendship Bread recipe is best served warm, drizzled with our Rum Glaze and topped with your favorite vanilla ice cream! This recipe was shared with us by Kitchen Friend Debbi Smith. 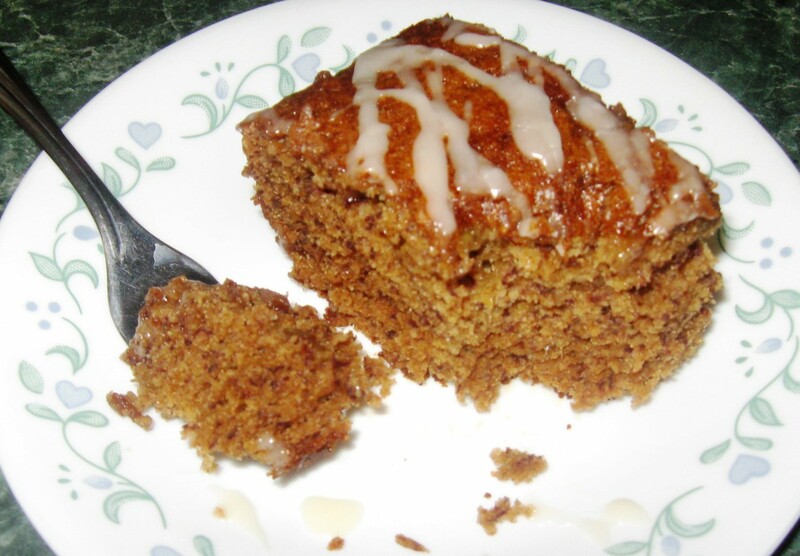 For a little extra spice, dust this Amish Friendship Bread with cinnamon. This Bananas Foster Amish Friendship Bread recipe is best served warm, drizzled with rum glaze and topped with your favorite vanilla ice cream! Combine banana, ½ cup brown sugar, butter and rum extract in a sauce pan. Cook over medium heat until mixture starts to bubble, stirring constantly. Once cooled, add Amish Friendship Bread starter, the remaining ½ cup brown sugar and egg. Mix thoroughly until well incorporated. In a small bowl, combine flour, baking soda, salt, cinnamon and allspice. Add flour mixture to banana mixture and beat until just blended. Pour batter into greased pans. Bake for about 50-60 minutes or until a toothpick inserted comes out clean. Let cool then drizzle with Rum Glaze. This one sounds wonderful! I love Bananas Foster. I am definitely making this again for the Christmas Morning Brunch I am hosting for my family and I’ll give another loaf to friends at our gift exchange at the office party.